The Football Fans Social Network. 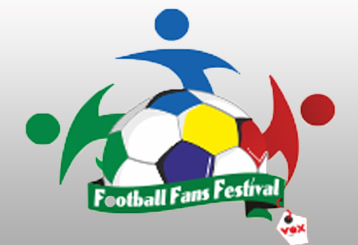 The Football Fans Festival is here. Play and win!!! Game is over and the final score is Valencia 1-4 Real Madrid. Here is the match report. The ref points to the spot, it's a penalty for Real Madrid. 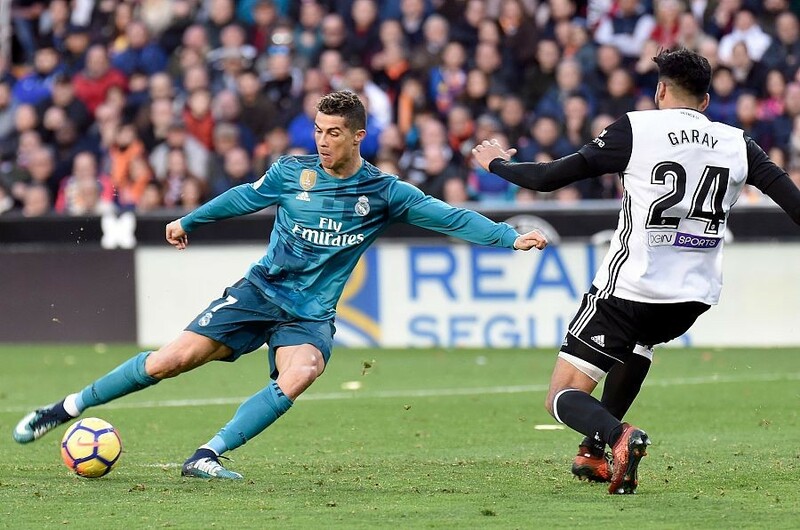 Cristiano Ronaldo smashes in a penalty at Mestalla. The score is now 0-1. An attacking Real Madrid player has been brought down in the area ... It's a penalty! It's now 0-2 to Real Madrid as Cristiano Ronaldo scores from the spot. Great play from Dani Parejo to set up the goal. Santi Mina (Valencia) heads in to reduce the deficit. The score is now 1-2. Goal! Marcelo extends Real Madrid's lead to 1-3. That's a fine assist from Marco Asensio. It's now 1-4 in Valencia as Toni Kroos scores for Real Madrid. Manchester United have 'no interest in re-signing Cristiano Ronaldo', scuppering the Real Madrid forward's hopes of a romantic return to Old Trafford. According to Spanish newspaper Marca, the arrival of Alexis Sanchez from Arsenal has put paid to any chance of the 32-year-old Portuguese star coming back to United. Sanchez will take the No 7 shirt in Jose Mourinho's squad, a number that had been reserved for Ronaldo until this point. 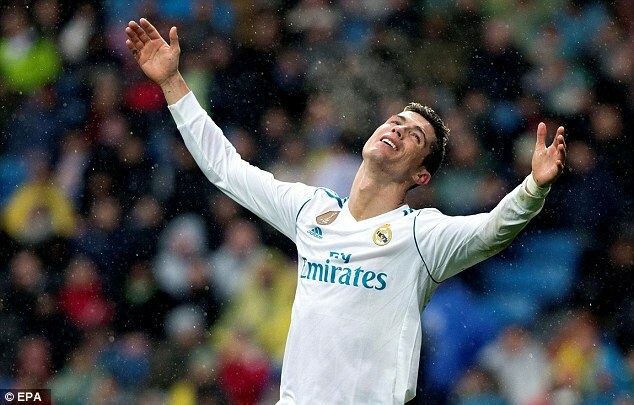 The Spanish press reported last week that Ronaldo had grown increasingly frustrated that Real had not acted on a promise to offer him a more lucrative contract following his role in their Champions League triumph last season. They claimed Ronaldo had already told team-mates he was going to leave the Bernabeu and had his heart set on a return to United, where he played with distinction between 2003 and 2009. But with United sealing a deal for Chile forward Sanchez, who will earn £450,000-a-week, the door appears to have closed on Ronaldo. United are not planning any more signings this month and their priorities in the summer will be central midfield and central defence. 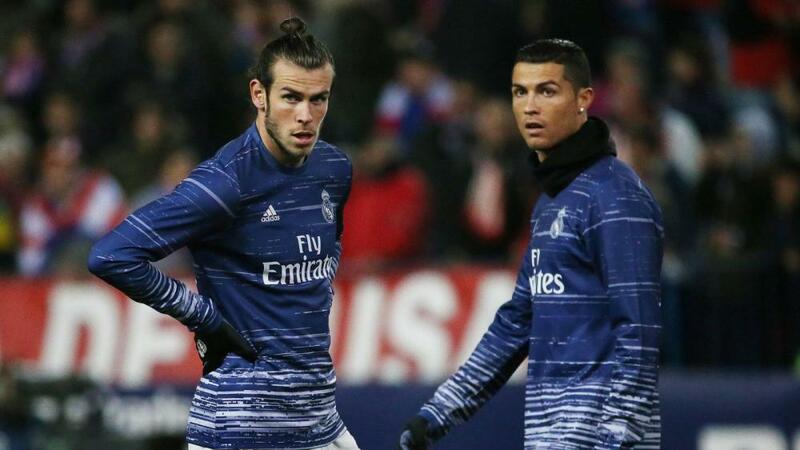 Marca also report that Mourinho is not interested in Gareth Bale, another key Real player who has been linked with a Premier League return. Sanchez said farewell to his Arsenal team-mates at their team hotel on Friday evening as he prepares to join United. 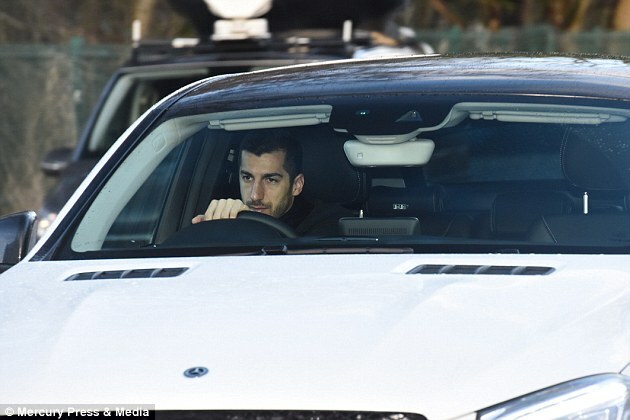 A breakthrough was reached earlier in the day when Henrikh Mkhitaryan agreed to move in the opposite direction, although the Armenian wasn't pleased at how he had been pushed out. Manchester United have completed the signing of Alexis Sanchez from Arsenal with the Chile international was expected at the club's Carrington training ground on Saturday. Terms on the swap deal involving Henrikh Mkhitaryan were finalised on Saturday morning and Sanchez has travelled north to Manchester ahead of completing a medical on Saturday evening and agreeing terms on a lucrative four-and-a-half-year contract worth around £450,000 a week. United's medical staff were with the team at Turf Moor on Saturday afternoon but are due to meet up with the 29-year-old new signing after the game. Sanchez said farewell to his Arsenal team-mates on Friday after training with them prior to their Premier league clash with Burnley. After being informed a breakthrough had been made after the session, Sanchez said his goodbyes and prepared for his move. Similarly, Mkhitaryan had made a tearful farewell to his United friends and staff prior to heading south to speak to Arsenal. Sportsmail revealed the player had said an emotional goodbye after his final United training session on Friday. ‘It was very tearful,’ said a source. ‘Henrikh has been a very popular figure here at United. ‘We know he isn’t too happy with the way this deal has been forced upon him. ‘He realises he has more chance of playing at Arsenal, but he would have preferred to leave on his own terms.’ United will pay a £20m transfer fee to Arsenal and £15m to the player’s agent Fernando Felicevich. The Chilean forward will earn a £350,000-a-week wage plus an extra £100,000 a week for image rights over the course of a four-and-a-half-year contract. He will also receive £7.5m a year for four years as a signing-on fee. Ahead of his return to Old Trafford, David Moyes has outlined the ambitious transfer plans which did not come to fruition during his time in charge of Manchester United. Moyes was appointed in the summer of 2013 and despite a list of ambitious targets, United could only sign Marouane Fellaini that summer, with Juan Mata arriving the following January. But Moyes, who now takes Sunderland to United in the middle of a relegation dogfight on Boxing Day, says he wanted to stop Gareth Bale going to Real Madrid for a world record transfer of £86 million. “When I first went in my real target was Gareth Bale,” Moyes said. “I felt all along that Gareth Bale was a Manchester United player. “I fought right until the last minute. We actually offered a bigger deal than Real Madrid. But Gareth had his mind made up on going to Real Madrid. That was, in my mind, the player I really wanted to bring to Manchester United. “The other one was Cesc Fabregas, who we thought we would get right up until the last minute. “I remember when I first met Sir Alex and he always said there was a chance Ronaldo might come back. “So that was the level we were targeting. I was not going out to bring in seven, eight players, because we had a squad which had just won the league. – A court in Spain has found Lionel Messi and his father guilty of tax invasion – The duo have been sentenced to 21 months behind bars – The Barcelona player and his father Jorge do not have any criminal record Barcelona forward Lionel Messi and his father Jorge have been sentenced to 21 months in prison for tax fraud, Eurosport reports. The Messi’s however won’t spent any time behind bars due to their clean criminal record. 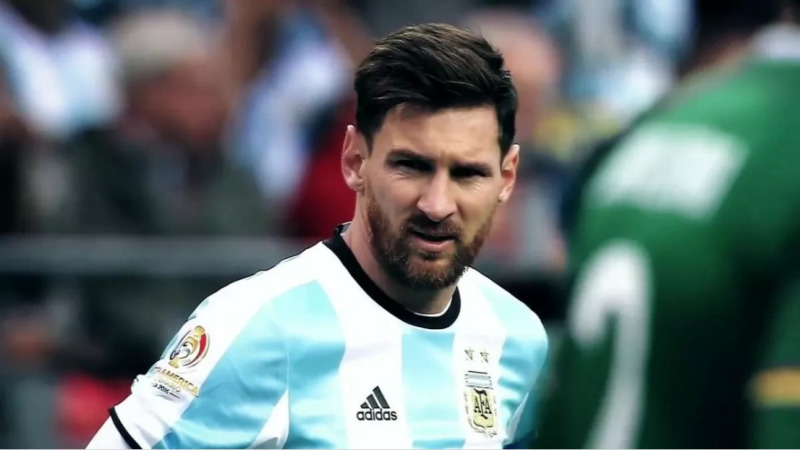 The Messis were found to have evaded tax on Lionel’s image rights, owing more than €4m in back payments. The Court of Catalonia has now taken action and now sentenced the pair to just under two years in prison. However, as the sentence is short of two years, and neither Lionel nor Jorge have a criminal record, they won’t be required to serve any jail time. Leo Messi had argued that he wasn’t aware of the tax arrangements set in place by his father and other advisors. The state attorney, Mario Maza however compared the player to a mafia boss, who denies knowing any the illegal operations were going on in his name. 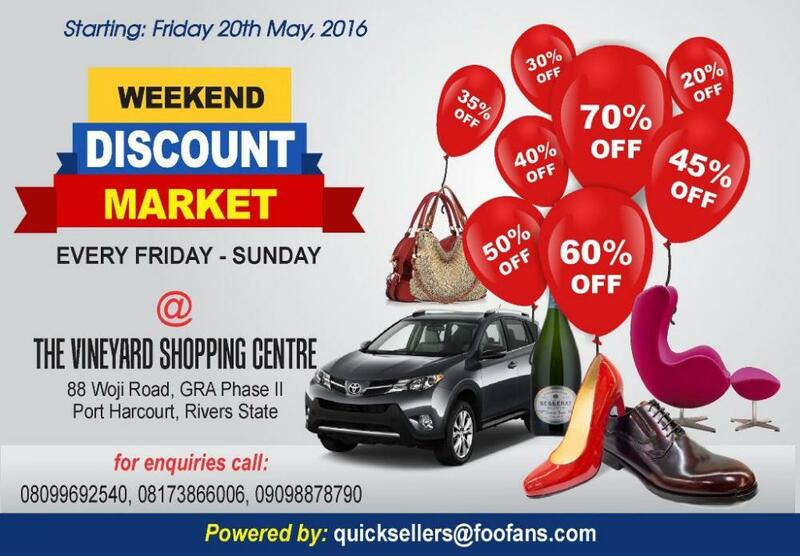 quicksellers@foofan.com is organizing a special Discount Market / Exhibition every weekend (Friday – Sunday) at The Vineyard Shopping Centre, 88 Woji road, GRA, Port Harcourt. This special market intends to create a platform for Quick-sales and Quick-Buys at all discounted rates and hopes to attract amongst others, sellers of Home Wares, Wine, Automobiles, Fashion and other Luxury goods. The Port Harcourt Weekend Discount Market will create opportunities for the right target market for sellers who are looking for Quick-sales of any Luxury goods. It will also create good buying opportunities for all buyers. This one of a kind market will add economic value to both the Buyers and Sellers. Are you looking for the Best Shopping Deals in Port Harcourt? Up to 90% discount on items ranging from Automobiles, Executive Furniture, Electronics, Champagne, Household items, Clothing, Children items and other luxury goods. This market affords Buyers and Sellers the opportunity for Quick-sales and Quick-Buys in a very serene / secure environment. Call 08099692540, 08173866006 or 0909887890 to book your space at the Weekend Discount Market. Marathon is a medieval sport that has its root in ancient Greece, and spread to the Roman Empire and other parts of Europe. The sport was a pastime, and attracts energetic young men to flaunt their athletic prowess. The sport soared in popularity over time, and later evolved into an Olympic event after apparent modifications/control by the International Association of Athletics Federation (IAAF). International Marathon – Participation is by foreign and local athletes, professional and amateur marathoners on invitation by organizers. Race is approved, supervised, monitored and officiated by International and local regulatory bodies e.g. IAAF and AFN. No invitational for foreign marathoners but national and local athletes only, and officiated by national and local regulatory bodies. Association of International Marathons (AIMS). International Association of Athletes Federations (IAAF). 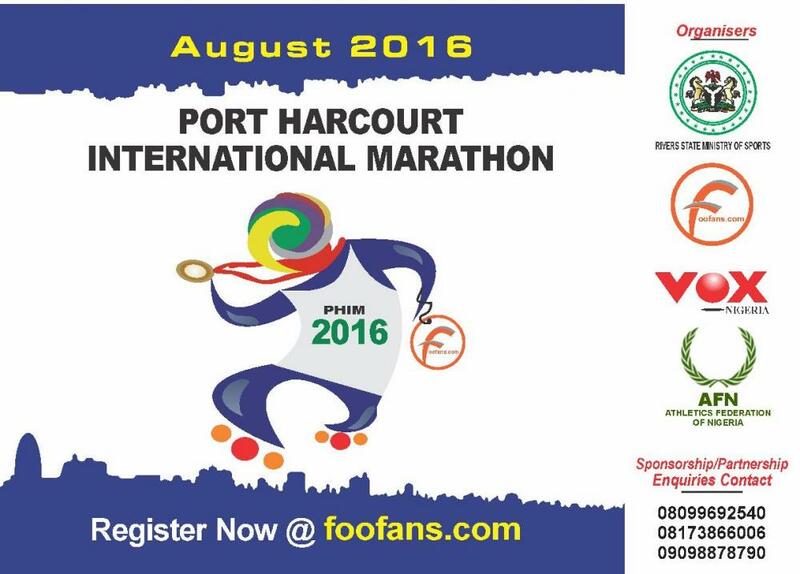 The first edition of the Port Harcourt International Marathon took place precisely on the 6th of June, 2009 and was aptly tagged “RUN FOR PEACE” in consonance with societal realities still relevant today. The event recorded over 10,000.00 participants from both local and foreign athletes across different continents of the world in a serene atmosphere with top notch security/logistic provisions, and was adjudged the best marathon ever organized in Nigeria by the Athletic Federation of Nigeria, AFN. The impressive success, ultimately led to other marathon platforms in Nigeria. Total prize package for the first edition was $55,000.00 US dollars, with top prize winners (male/female) pocketing a handsome $10,000.00 US dollars each, while the first/second runner ups (male/female) carted home $7,500.00 and $5,000.00 respectively, with lots of consolation prizes. Also, national/local athletes were awarded mount watering cash prizes with special emphasis on local talents. Prize money for PHIM 2016 edition is increased to a whopping $100,000.00 US dollars. This was consciously planned to expand/elevate the event to attract wider participation and endorsement. The role of sports in human endeavor cannot be over emphasized. In general terms, sports have opened vistas of opportunities in most economies of the world, particularly amongst youths in developing countries. Marathon as a sport is the only event with capacity to accommodate multiple thousands of athletes, professional/non professionals at a single swoop competing for laurels at the same space and time. Several talents has been discovered in such exercise and developed to become world stars. Also, Marathon is non gender sensitive as both male and female enthusiasts can participate, neither is it age selective, as the young and old are attracted to it globally. In fact, the sport has become a major economic vehicle for countries and participants (Athletes/sponsors) and Nigeria is fast catching up with the trend. Be a very strong integrative platform for Athletes, Football Fans, Footballers, Football Managers and other Stakeholders from across the World. Build stronger relationships, beneficial for Sports tourism and human capital development. Give opportunities for the discovery of new and developing talents that could be signed up by scouting athletics and football managers. Offer inexhaustible opportunities for active minds engagements, particularly of the youths and fanatical football fans, Foster a more harmonious game spirit of Fair Play, No Racism, No Hooliganism among Fans, Players, Administrators, Managers and all Stakeholders. Development of Sports Tourism and Sports Infrastructure. Youth Capacity Development and Talent Discoveries, Youth engagement and better future offer. Increase financial earnings for Local Professionals. Boost Economic Activities and financial earnings for direct and indirect participants. 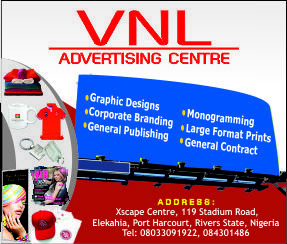 Uncommon broad opportunities for corporate Brand visibility, positioning and strengthening. Unusual corporate image builder at National and International levels. Opportunity to attract more global interest on investment, showcase investment windows, reposition state and increase rating in the committee of states. Bringing world class sport activity, world class people, and world interest to Local environment. The multiplier effects of marathon events are unquantifiable. Apart from specific benefits outlined, the Port Harcourt International Marathon shall be a veritable platform to rebrand Rivers State as a peaceful haven for sports and business tourism in Nigeria. We are convinced that with synergy and commitment, the second edition of PHIM 2016 will be a huge success. I therefore implore you to give it all it takes and partner us to reignite “the spirit of Port Harcourt”. Sponsorship is categorized into (1) DIAMOND (2) GOLD (3) SILVER (4) BRONZE & (5) SINGLE WINDOW PARTNERS, and intending sponsors are expected to make contributions on or before forty (40) days to event and fully maximize benefits attached to their categories. Real Madrid are considering selling James Rodriguez to fund future transfers, according to Sky Sports. Rodriguez, 24, has endured a frustrating campaign so far after first falling out of favour under Rafa Benitez and then having several off-field distractions call into question his future at the club. The Colombia international has been heavily linked with a move to United in the past and they could be successful in their pursuit with Madrid weighing up whether to sell the star midfielder after failing to find any suitors for Cristiano Ronaldo. Since the start of last season, no player to have featured in more than 20 league games has created a chance more often than Rodriguez (27.3 mins) in La Liga. Sir Alex Ferguson was at the Manchester United helm for 26 years. David Moyes was at the helm for less than one year, with disastrous consequences, as United's title defence failed miserably. 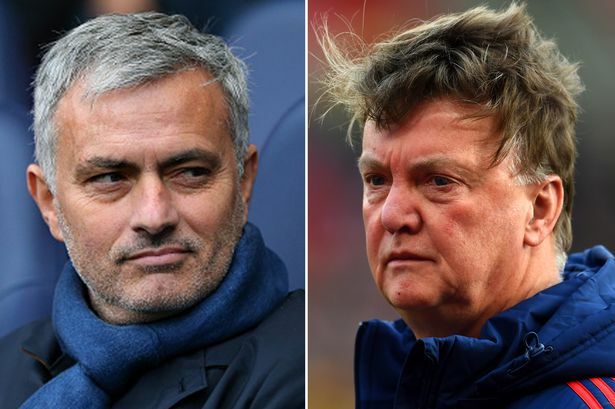 Dutch coach Louis van Gaal was brought in to get the Red Devils back on track, but a poor run in late 2015 meant mounting pressure as he risk losing his job to Morinho. Currently Former Chelsea boss Mourinho is not prepared to succeed Van Gaal mid-season, despite having a £15m-a-year deal waiting for him. Louis van Gaal is set to survive at Manchester United until the end of the season - because Jose Mourinho doesn’t want to take over until then. Mirror Sport revealed earlier this month that the Special One has a three-year deal worth around £15million-a-year waiting for him at Old Trafford. United are also prepared to pay Mourinho - said to have already found a property in Manchester - a £4million bonus for winning the Premier League. The former Chelsea boss, however, is not prepared to succeed Van Gaal mid-season and would prefer to start work in June. It would allow him the opportunity to overhaul the squad and to embark on a pre-season with his new players. It would also enable United chief executive Ed Woodward to give Van Gaal every chance of turning around the ailing club’s current campaign. The Dutchman’s position is felt among fans to be untenable after a season characterised by underachievement. Despite an outlay of around £90million last summer, United failed to get out of their Champions League group. They also suffered a humiliating Europa League first leg defeat to FC Midtjylland last Thursday night. 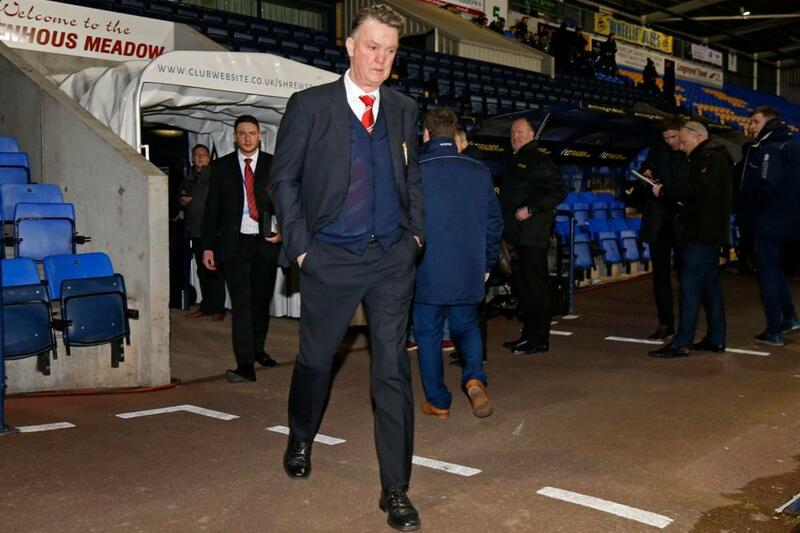 They responded with victory at Shrewsbury on Monday night, however, to move into the FA Cup quarter-finals. United also sit fifth in the Premier League, six points off the top four. But in total they have won just six of their last 19 games in all competitions.